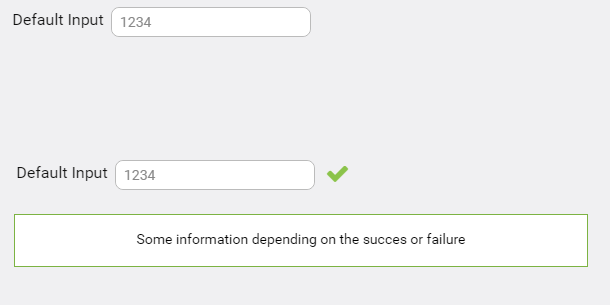 We are designing a flow where the user is expected to enter some additional mandatory data after entering some other data. For example, the user enters amount in a field and does a TAB-OUT. We want the system to automatically pop-up a modal window to tell the system certain mandatory information about the source of funds. It is agreed by everyone that modal window is the best option. Now, the question: Should the system automatically pop-up a modal window after the user does a TAB-OUT or provide an icon and ask the user to click the icon? One view is, automatic pop-up is better because the step is sequential, mandatory (and hence expected in a sense). It also saves a click. Contrary view is any automatic pop-up is bad since it is "unexpected" for the user since no explicit action was initiated by the user. The first camp argues that "unexpected" pop-ups are bad when it is used for messages that are meant to solicit unrelated inputs (like advertisements, donations etc) and not when used in an enterprise application where it is an essential step in the process. A quick background on the nature of system: The system is meant for internal users of an enterprise and therefore the users will be repeating the task multiple times on a day to day basis. The usage is primarily on desktop. What is the right way to go in this context? The modal should be automatic. The modal is being used to capture required inputs from the user while they are inputting data. While the modal may be an unexpected input method for the user it won't be requesting an unexpected activity when it appears. Additionally, giving the user an icon to click is an extra step which creates unnecessary friction. I am also doubting the need for modal in this case but let's put this aside since you are set on it. I like Hem's idea. Also label that modal correctly, so it is more informational than just an "advertisement". Make it automatic and keep clicks to a minimum. + this seems to be an internal application so there will be a learning curve. I recommend implementing 'error-prone' method and provide the hints on focus, rather than showing a modal popup to correct the error / mistake done by the user. Not the answer you're looking for? Browse other questions tagged popup modal-windows enterprise or ask your own question. Should I prefer “Earliest Prevention” over “Flexible Workflows”?